Maximize strength and regeneration in any routine with the stability balls' detailed exercises. These 12 exercises include the ball twist, glute lift and superman, to focus on core stabilizers, flexibility and efficient muscle regeneration. 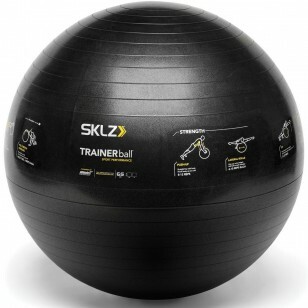 Self-Guided Stability Ball. 65 cm. Long-lasting and durable; anti-burst technology up to 1,000 lbs.